Twenty years ago, Gil Moen III purchased a 1957 Chevy Bel Air with the hope of one day restoring it to its former glory and later enjoying that car with his oldest son, Gil Moen IV. Last May, however, Gil Moen III received the news that no one wants to receive. He had been diagnosed with stage four pancreatic cancer and was given only eight to twelve months to live. His first thoughts after the diagnosis were, “what about my car, what about my dream?” It was soon after his diagnosis that friends Ryan Wendel and Dennis Palombo, who had just opened the doors to Phoenix Customs, their custom restoration and fabrication shop in Mapleton, decided to step in and make sure that his car was finished and drivable. His main worry was what would become of the car after he passed. He worried about leaving such an enormous project with his wife, Melissa Moen, and their four children to deal with. That was the motivation to get the car finished so his family would have something to hold on to. “I spoke to Dennis about helping finish Gil’s car,” Wendel said. “Dennis and I both have sons of our own and a love of old cars as Gil and his son share. We knew it would mean the world to not only Gil but “Little Gil” (Gil’s oldest son) to have this car done. Having just opened their new shop, they knew time spent on the build would have to take place after hours and on weekends. This led to many long nights and extra time in the shop all to finish this special car for their good friend. Labor was provided mostly from Wendel and Palombo in the beginning, but with his health permitting, the father and son periodically went down to the shop to help where they could. When the car arrived, it was in primer with no paint, no interior and it did not run. One night, Palombo and two of his son’s, Lane and Tyler Palombo, Wendel, and a friend Tyson Fiedler got the car sanded down and ready for paint. Moen III had originally planned on the car being painted satin black, as he wasn’t sure how the body would look with gloss black applied. After they finished the bodywork, Wendel decided the paint the Bel Air gloss black because of the quality work that Moen III had put in to the body. They went the extra mile to give the paint a deep shine by cutting and polishing to make the paint appear as good as it could. After the painting was complete, two of Gil’s friends, Jim Bowlby and Brian Riding, went down to the shop to help get all the wiring in place as well as the final assembly. The team also took on the project of restoring and finishing the interior of the car and making sure it ran properly. What was truly amazing was most labor and materials used were donated by people involved with the build. The team even spoke to their paint supplier who generously donated all the paint and materials for the car. The Bel Air was finished the first week of December 2018, where Moen III was able to finally see his dream realized and take his prized car out for a drive with his son Moen IV. It was once the future of GM. Now it’s in the past. Looking to get a new or pre-owned vehicle? Visit our website 24/7. General Motors has stayed the execution of two of the five American-made car models that it was expected to discontinue this summer when it idled the plants that produce them. Shop for the Chevrolet Impala while you still can! 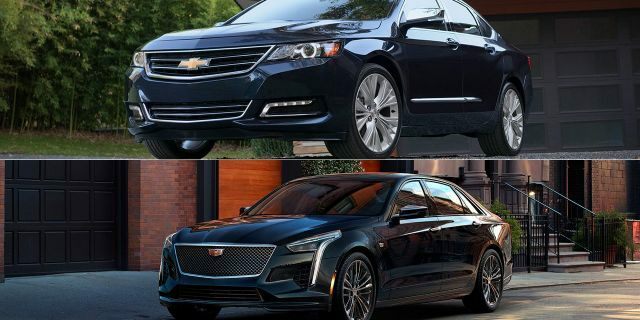 The Chevrolet Impala and Cadillac CT6 full-size sedans will instead be built through January 2020, keeping the lights on at GM’s last factory in its hometown, the Detroit-Hamtramck Assembly for an extra seven months. Production of the Chevrolet Volt hybrid and Buick LaCrosse ended at the facility on February 15, and neither model will be replaced as the automaker shifts its product focus toward fully-electric cars and utility vehicles. Sales of the $28,395 Impala were down nearly 50 percent in 2018, with just over 56,000 sold, while Cadillac delivered 9,668 of its $51,490 CT6, about the same as the prior year. GM announced the idling of the plant along with four other manufacturing facilities in North America last November, setting the stage for the elimination of a total of six models and several thousand jobs. 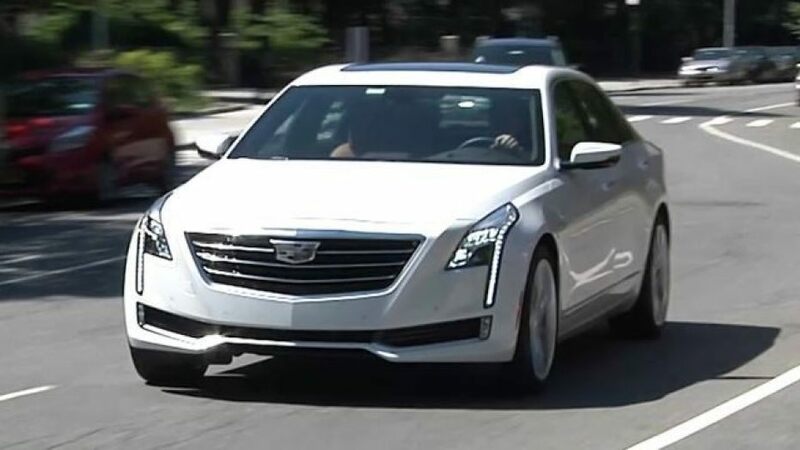 A few weeks later, at January’s Detroit Auto Show, Cadillac President Steve Carlisle clarified that the company was looking for a way to keep offering the CT6, which has been updated for 2016 with a new high-performance model and is the only vehicle in GM’s lineup to feature the Super Cruise semi-autonomous driving aid. 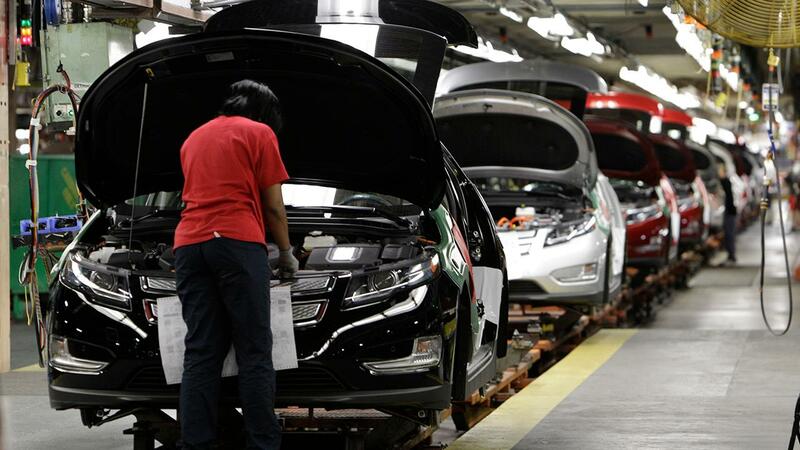 The U.S. factories can’t technically be closed permanently unless an agreement is reached with the United Auto Workers union, and GM executives have been using the term “unallocated” to describe their immediate futures. The Impala is also produced at a GM factory in Oshawa, Canada, that is scheduled to be idled at the end of 2019. Discover how much we appreciate you as a customer when you enroll in My GM Rewards. It’s free to join and allows you to earn and redeem points on a wide array of GM products and services. Points add up quickly. In fact, you’ll automatically receive 1,000 points just for enrolling — and we’re just getting started. Earn 20,000 points ($100 value) on new vehicle leases or purchases, which can be redeemed toward accessories, paid vehicle services and more. Plus, get points for paid service, connected services and OnStar® plans, and many others. Use points toward accessories, paid service, new vehicles and more. It’s our way of saying thanks! To enroll or find Out More about getting $100 in FREE GM Accessories on our Website. Chevrolet makes a great showing at this years 2019 Detroit Auto Show. Watch this video to see all the latest models. The 2019 Detroit Auto Show is also offering additional rebates on our most popular models. And, just announced today…the addition of FLEX CASH! Flex Cash is additional cash back that is good in addition to all other incentives but you’ve got to hurry. When we run out of FLEX CASH there is no more and the offer expires. So, the early bird gets the FLEX CASH! Want to see these wonderful Chevrolet models in person? Visit our dealership located in Aurora, IL on the corner of Route 30 and Route 34 where Aurora meets Oswego, IL. We’ve got over 450 vehicles in stock to choose from. Call our customer care team at 630-898-9630 and we’ll make sure your vehicle of choice is cleaned, gassed and parked in our heated facility, ready for your inspection. Ron Westphal Chevrolet is a family-owned dealership serving the Aurora, Oswego and Yorkville communities for over 30 years! Thanks for looking at our video about the 2019 Detroit Auto Show. Hope to see you soon. An all-electric future may not be so bad after all. Last November Chevrolet unveiled something rather unique, the all-electric eCOPO Camaro. With 700 hp and 600 lb-ft of instant torque on tap, this drag racer is powered by a pair of electric motors which gets its juice from a 32 kWh battery pack. An automatic gearbox distributes all of that power to the same solid rear axle found in the regular production COPO Camaro drag racers. The last time we the visually saw and heard the eCOPO Camaro was when Chevy released its own video of a silent burnout. We described the moment as “sounding like a vacuum cleaner.” Look, it’s one of the disadvantages when ditching internal combustion for electricity, but the actual drag race results speak for themselves. Today, another video has been posted online showing the 2019 eCOPO Camaro doing its first run ever and, to our great enjoyment, it even popped a wheelie. We’re also being told it only used roughly 80 percent of its total power for its first run. Imagine it at full power and, in future model years, with numerous upgrades. As we said back in November, full electrification doesn’t sound completely terrible, only different. It’s just something we’re going to have to get used to. But the eCOPO Camaro’s first time specs are very impressive: it completed the quarter-mile in 10.142 seconds at 130.85 mph. Imagine where these figures will be once Chevy’s engineers work out any kinks. After all, the eCOPO Camaro is only a concept, for now. Chevrolet has said it might offer electric crate motors like the one used here at some point down the line, but this still is not confirmed. Still, the eCOPO Camaro could become a production drag racer in the very near future. Given GM’s previous announcements regarding its intent to become a global leader in all-electric powertrains, don’t be surprised to see concept become reality. Looking for a gas engine Camaro? Call our Customer Care Team or visit our website 24/7. Thanks for reading about the ecopo camaro.